Based on research carried out over the three decades, this book compares the post-war political economies of Cambodia, Laos and Vietnam in the context of their individual and collective impact on contemporary efforts at regional integration. The author highlights the different paths to reform taken by the three neighbours and the effect this has had on regional plans for economic development through the ASEAN and the Greater Mekong Subregion. 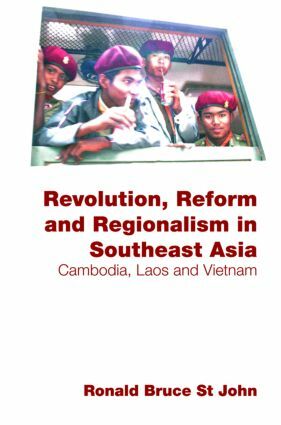 Through its comparative analysis of the reforms implemented by Cambodia, Laos and Vietnam over the last thirty years, the book draws attention to parallel themes of continuity and change. The author discusses how the three states have demonstrated related characteristics whilst at the same time making different modifications in order to exploit the unique strengths of their individual cultures. Contributing to the contemporary debate over the role of democratic reform in promoting economic development, the book provides a detailed account of the political economies of three states at the heart of Southeast Asia.